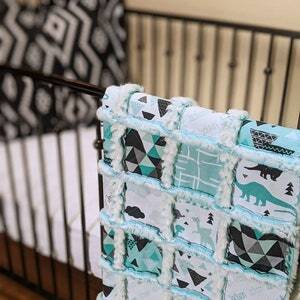 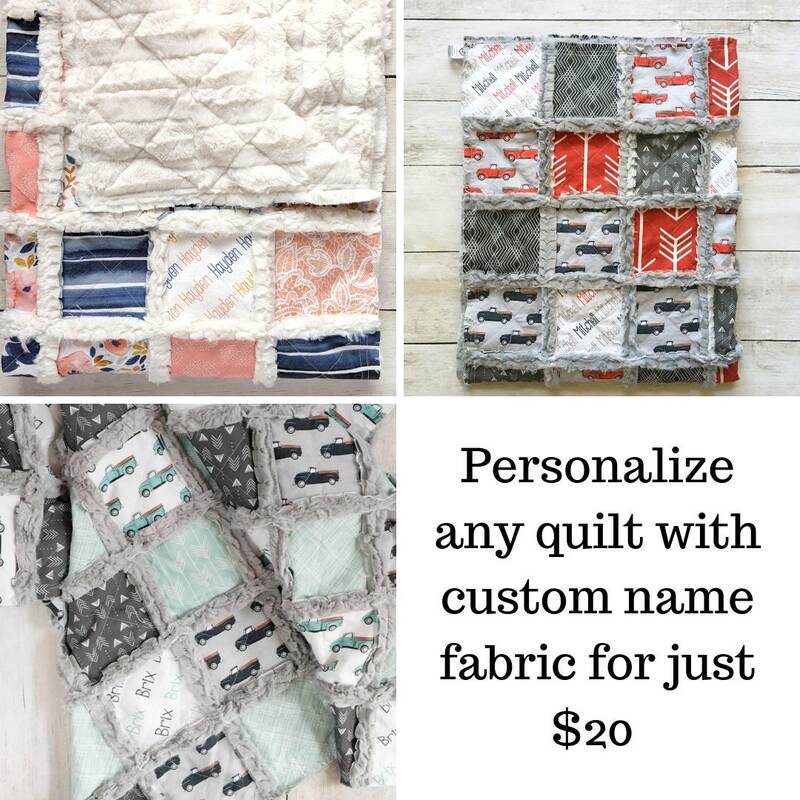 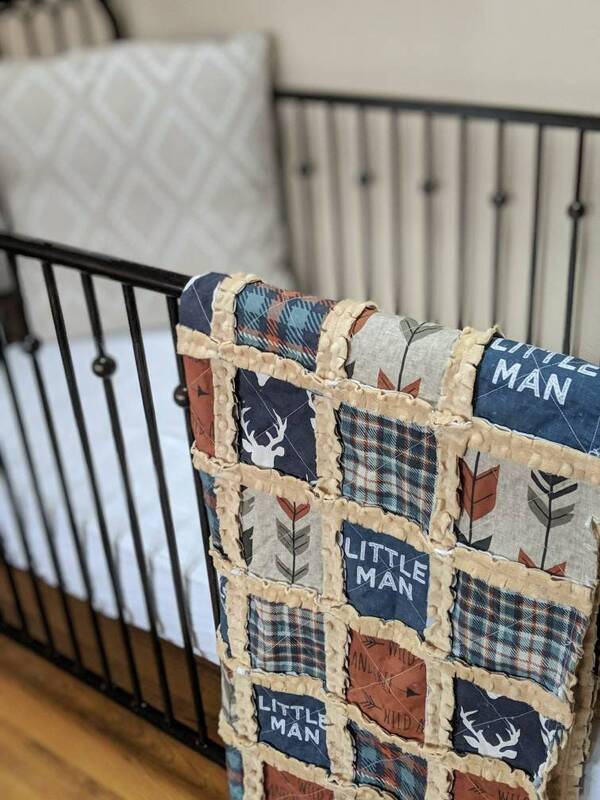 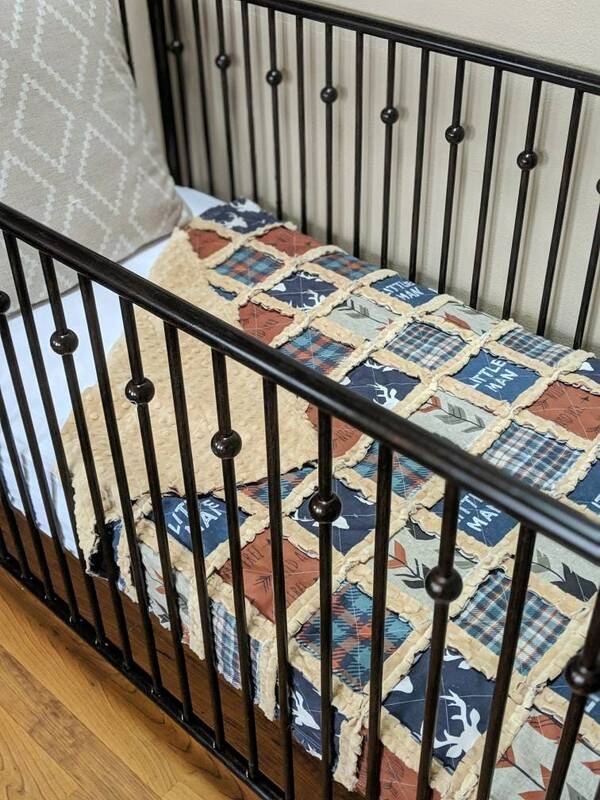 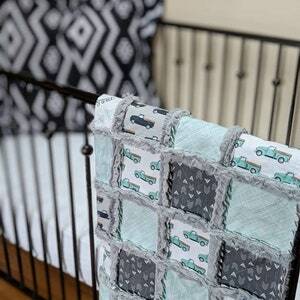 If you are looking for bedding to create the perfect rustic nursery, this is it! 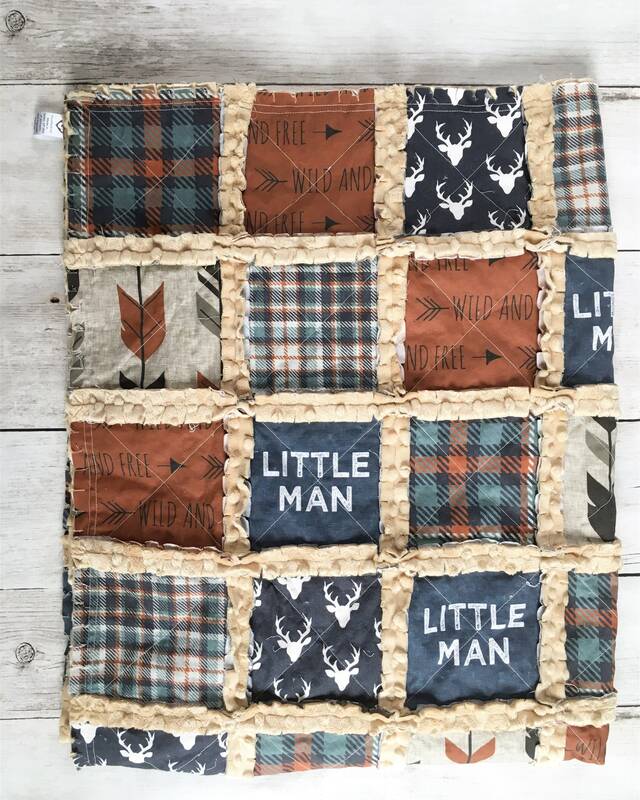 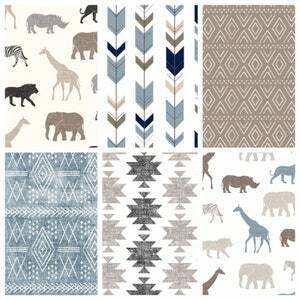 These prints are so adorable together, with the "Little Man" print, deer,and plaids in rust orange and denim blue. 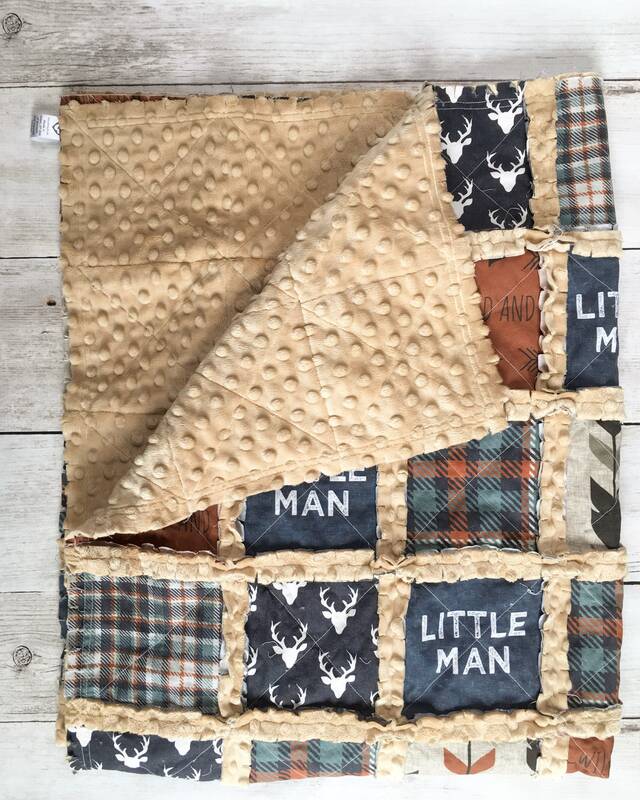 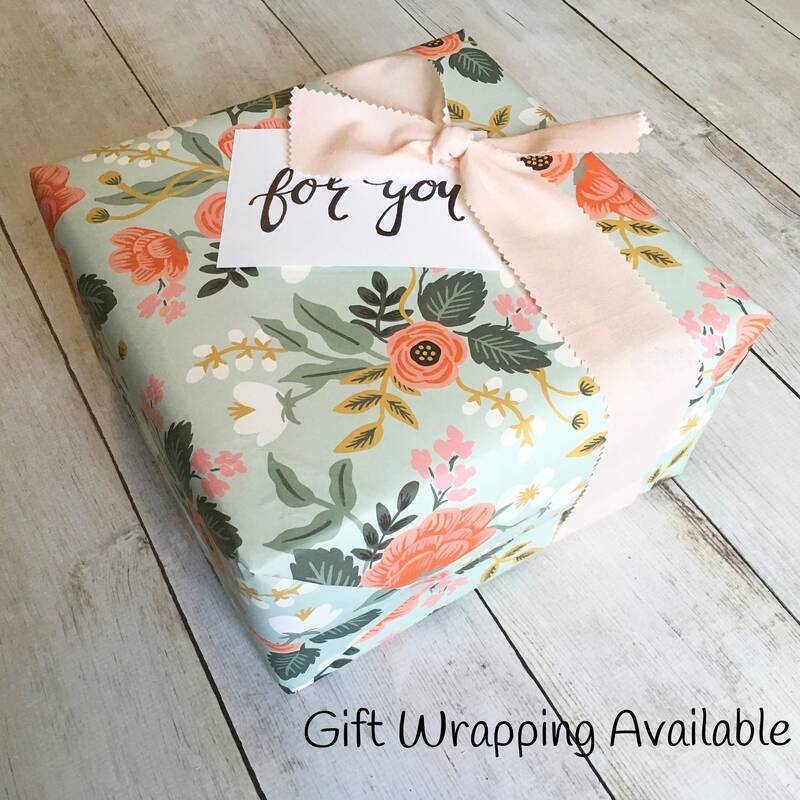 The back is done in silky soft tan minky fabric, making it perfect to snuggle up in! 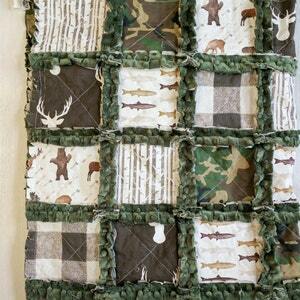 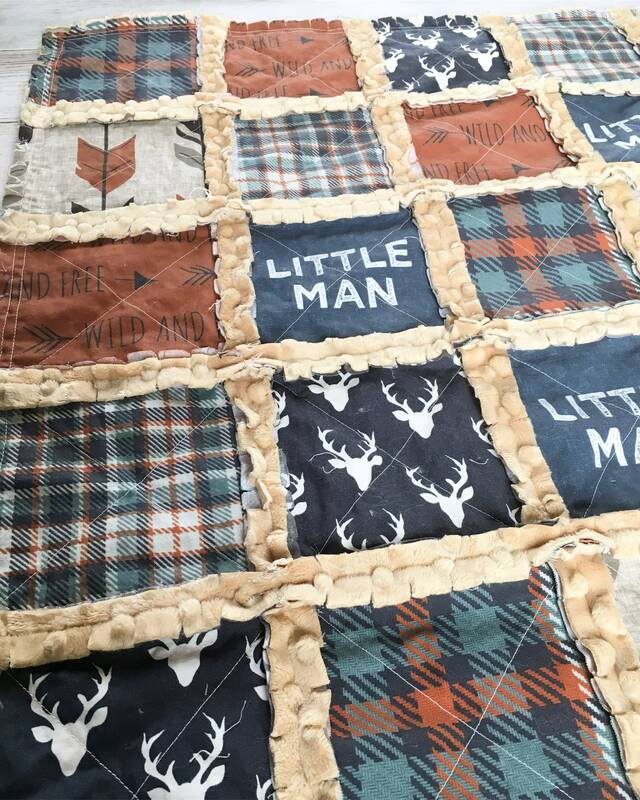 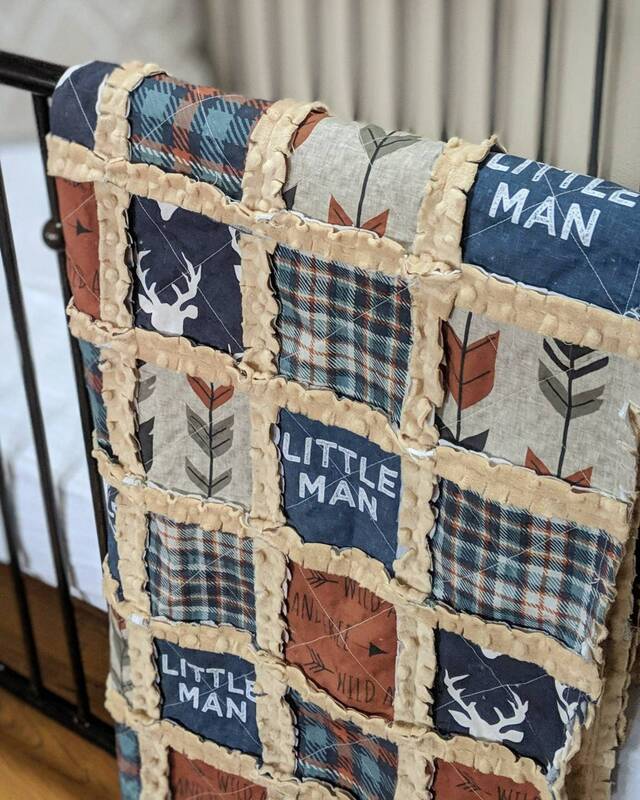 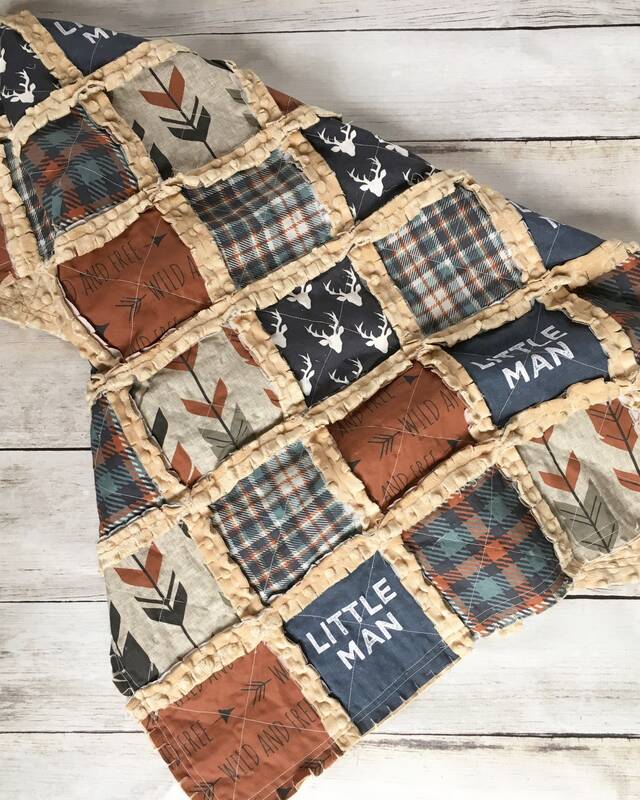 Very cute quilt purchased for my grandson.